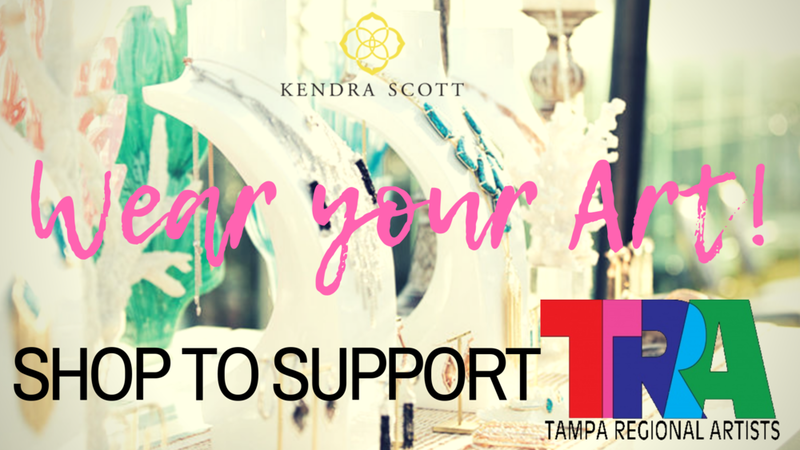 Kendra Gives Back to Tampa Regional Artists! Thursday, October 25, 2018 at 5 PM – 8 PM. Enjoy sips, sweets & jewels to support Tampa Regional Artists, an organization in the heart Hyde Park that provides opportunities for artists of all skill levels and art enthusiasts. 20% of proceeds benefit our mission of promoting artistic excellence and art appreciation by providing a permanent gallery space for education, exhibition opportunities, outreach activities and fellowship for artists and the Tampa Bay Area community. This is a GREAT event to meet and mingle with other TRA members! Please invite your friends to learn what this neighborhood organization is all about.